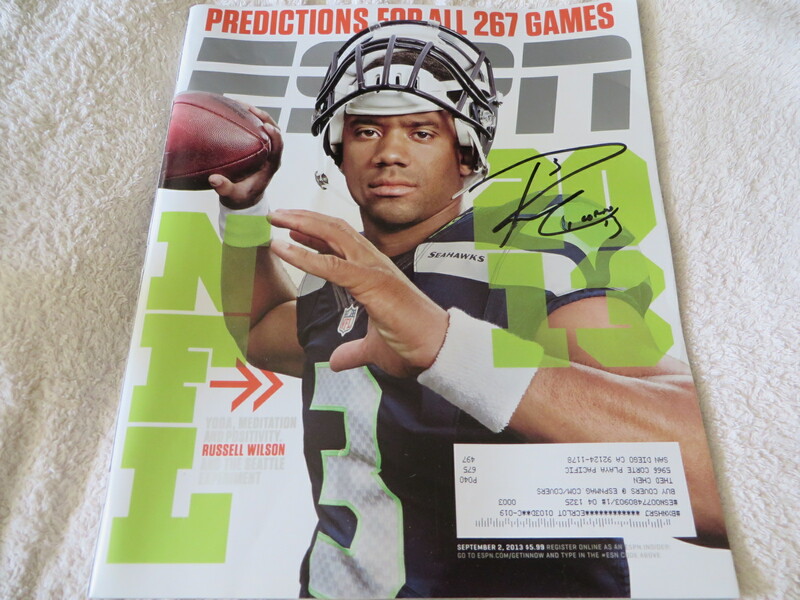 Complete 2013 ESPN Magazine autographed beautifully in black marker by Seattle Seahawks superstar quarterback Russell Wilson. 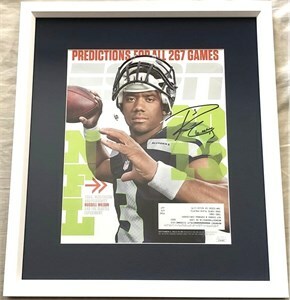 Obtained in person at the team hotel in San Diego, with certificate of authenticity from AutographsForSale.com. Has very minor handling flaws and wear, suitable for framing. ONLY ONE AVAILABLE FOR SALE.